Based on a book by Evelyn Waugh , this Mini-Series is a lament for an aristocratic England which at the end of the 1939-45 War seemed to be vanishing for ever. Charles Ryder, a wartime British Army captain, is posted to Brideshead Castle and remembers his doomed pre-war love affairs there. While Sebastian recovers from a broken foot, he and Charles enjoy a long summer vacation on their own (apart from the servants) at Brideshead, drinking a lot of good wine. Then other members of the family arrive and have a lot to say about religion - the Flytes are devoutly Catholic. 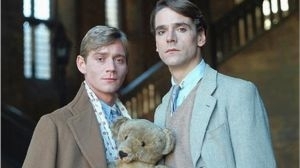 Charles comes home from Paris to spend New Year 1925 at Brideshead, but Sebastian behaves disgracefully. The Marchmains are trying to stop Sebastian from drinking by keeping him penniless, and Charles incurs their anger by giving him money. Rex Mottram is determined to marry Julia, a prospect which appals Lady Marchmain, who is fatally ill. She reluctantly agrees to a secret engagement. 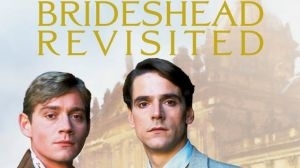 Then Brideshead makes his own dramatic announcement, and Julia reveals how far she has already gone in her relationship with Rex.Meanwhile, Rex is looking for Sebastian and believes Charles is hiding him. With Lady Marchmain very near to death, Charles searches French Morocco for Sebastian. He finds him, and is shocked by what he finds. Bridey is planning to demolish Marchmain House, the family's London residence, and commissions Charles to paint some last pictures of its interior before the old place comes down. Meanwhile, Charles's marriage is collapsing. Charles and Julia meet on a transatlantic liner and begin an affair. Rex Mottram and Charles's wife conspire against them. Bridey rebukes Julia for her affair with Charles, and Cordelia brings news of Sebastian living a dismal life in a remote monastery in North Africa.